In this article we will gonna learn some basics of TypeScipt. Step 1: Install node.js https://nodejs.org/en/download/ . Node basically provides server side environment. By installing node we will get Node Package Manager(NPM). ->TS provides compile time environment where JS lacks. Which means less exceptions or bugs. 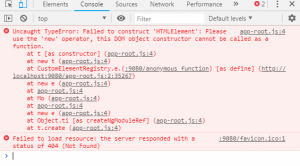 How Typescript make life easier??? In the above example we have written function which will accept two parameter both of type number. If you try to pass string it will throw an error. We are all set 😉 Let’s start with TypeScript Programming….. Routing is the mechanism by which requests (as specified by a URL and HTTP method) are routed to the code that handles them. • In above folder create app.js file. you will see “server is running at 3000” message in your terminal. Yehh😁! Our Node.JS server create successfully. It will give us all information like header, response etc. • status code which is 200 means OK.
Let’s log req parameter to check what it gave us. Ohhh, look what I found😃. Using URL, we can restrict other endpoints or path not to be hit. res.write(`Just Compile believes in team work. in executing every project as a team. So, today we have learned how to route through multiple endpoints without express. I hope this article will help you. Please put your feedback using comment which helps me to improve myself for next post. Thank You! Now a day, Node is the fastest growing open source platform in the world. If you are wondering what Node.JS is and why is it so popular? so today, I am here to give you brief introduction about it. 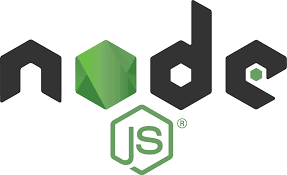 This article covers the following areas of Node.JS. • Why is it so popular? Common task for web server is to open a file on the server and return content of that file to the client. 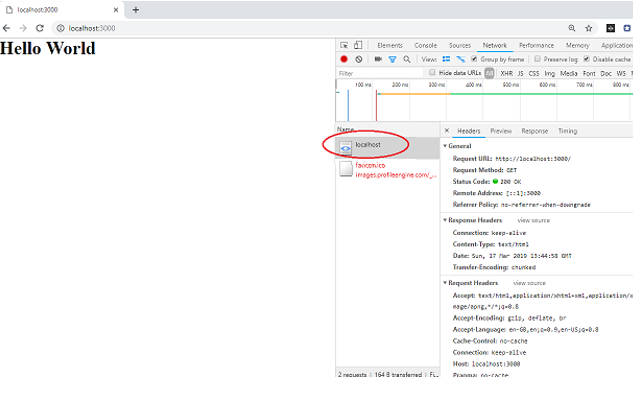 • The client would request for the file from the server and the server would respond with that file and close the connection after each response. Now the question is, how server respond to millions of requests which is coming at the same time? In ‘xyz’ station have only one ticket counter. When passenger count is increases its difficult to handle all passengers.Passengers would have to wait. Solution for this problem is to increase ticket counters. Here’s the concept coming named as Threads. But this is not a good solution. Because, there is some point when request count is increases and each request is starting with new thread. Problem with this is, it consumes lots of memory and resources. Node.JS is not a framework and also not a programming language. Node.JS can use for building back-end services like APIs. • A Node.JS app is run by single process, without creating a new thread for every request. • While performing I/O operations, when the response comes back Node.JS resume the operations instead of blocking the thread. • This allows Node.JS to handle thousands of request with single server. Why Node is so popular? 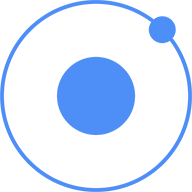 1] Single Programming Language for both Front-End and Back-End. It has a real cross-platform language which allows Node.JS to be used on Mac, Windows, and Linux. 3. Now, test Node.JS version using the following command. This command is finding a json file named as package.json in root directory to install all dependencies defined in the file. The most important things in your package.json are name and version. Those are actually required, and your package won’t install without them. 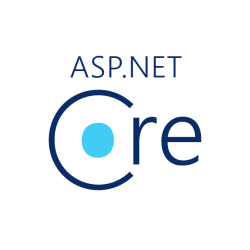 Dependencies are specified in a simple object that maps a package name to a version range. On the first line, we required the HTTP module. The module provides as interface to deal with http operations. we call the createServer() method which will helps to creates a server. 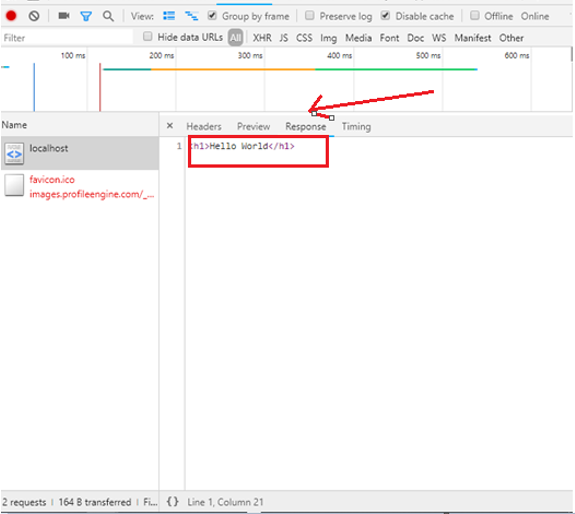 It will create server with response having status code 200, content type plain text and ‘Hello World’ response which is server sends to the browser. 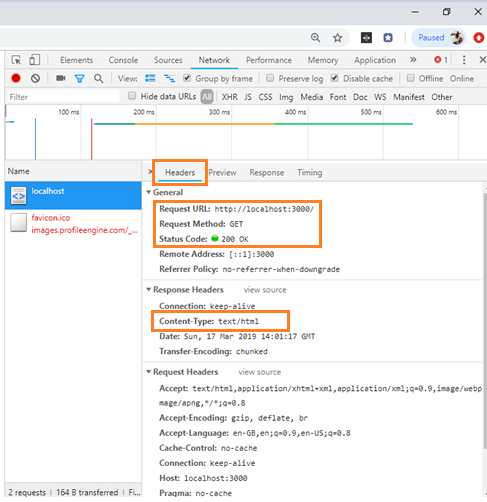 The request and response objects have information about incoming request and outgoing responses. After creating server, now it’s time to assign port number. Here, the server listens to localhost on port 3000 and log “Server is running at 3000” in command prompt. It’s time to run our app.js file. I hope this article was helpful for you. If it was, please leave a comment and clap it up! Thank You! Instead of loading the huge data into listView at Once , we can Populate our ListView Itemsource whenever the user scrolls down . when List is loaded for First Time , we’ll set only few Items in List when user will scroll further more data will be set to Itemsource of List. when you set IsLoadOnDemandEnabled to true . Itemsource will be of type ListViewLoadOnDemandCollection . 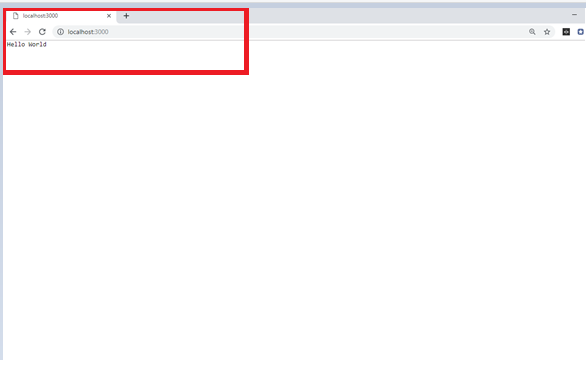 Initialized ListView Itemsource and added few Items. and IsLoadOnDemandEnabled is set to true . else you’ll never get Hit in Your LoadMoreItemCommand . 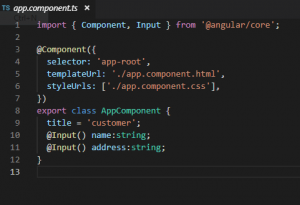 In this article, we will create one simple angular element. now we need to add our component into module.Here instead of bootstrap: we are using entryComponents. use createCustomElement to register custom element with browser Custom Element Registry. We need some more packages to make our component work. 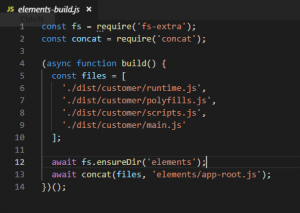 create elements-build.js file to pull out all these into one file. Now add new script to your package.json file, so it will build our component and generate file without hashed name. 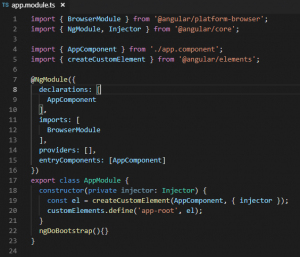 In this article, we are going to show you how to install Angular material to your angular project in few simple steps.So let’s dive right into it. We are going to divide this article into several section. Once the creation is done, we are going to start the Visual Studio Code editor and open our project. 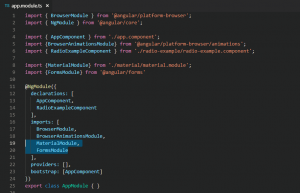 2)Installing and configuring angular material to your project. We are going to use npm to install the required packages.So, let’s do that first by navigating to the root folder of our project and running the below command. Alternatively, you can disable animations by importing NoopAnimationsModule. Now we install hammerjs library to support gesture. We can import all the required angular material component to our app.module.ts but it is not recommended. Therefore we create a separate module named material.module.ts in that module we import all the required component from angular material library and then we can import this module to our app module. So, let’s create material module. The above command create the module for us with a folder material and inside it material.module.ts file will be created. 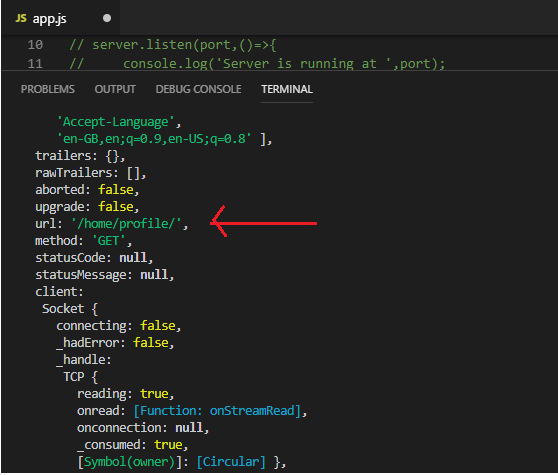 In created module one thing will be missing when you create module from command that is exports array under @ngModule. So we have to write exports array.For right now we declare exports array empty. Note:Exports array is containing components.It will allow us to use material module components outside this module. First we have to create component. Let’s create component with name RadioExample . The above command create component for us and add to the imports of app.module.ts . 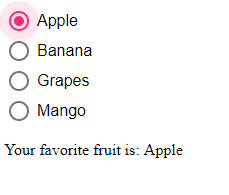 Example will on radio button. 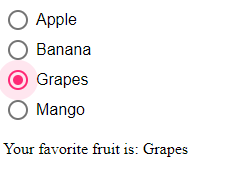 In this example we create radio button group and a label.We show the value of selected radio button value to that label. 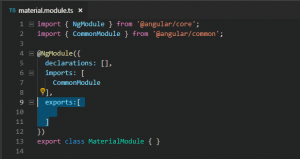 First we have to import MatRadioModule module from angular material library to our material module. We have exports our MatRadioModule so app module can use component inside MatRadioModule. 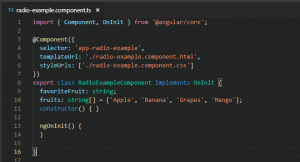 Open radio-example.component.ts and add these lines of code. 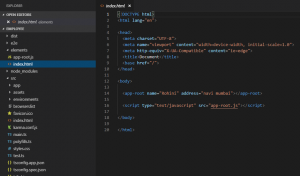 Open radio-example.component.html and add these lines of code. 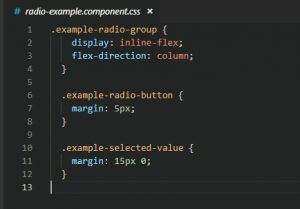 Open radio-example.component.css and add these lines of code. Now it’s time to run our project and see the outcome.For running our project use ng serve command. Conclusion : In this article we created angular project and seen basic example to get started with angular material.